The 411 On Getting "Estimates" - Beautiful Homes - "The closer you look, the better we look." Beautiful Homes - "The closer you look, the better we look." Know your contractor BEFORE you buy windows or siding. The BBB reports that complaints on contractors top the list! The SBA reports that 96% of all contractors will fail within their first FIVE years in business. They could give you a 1000-year warranty, but it won’t do any good if they aren’t still in business when you need them. Hiring a company with at least five years in business gives you a track record of work to check and since they’ve made it “over the hump”, you have a much better chance that they will be there should you need them down the road. It’s a good idea to see a previous installation or two if possible. There should be no problem getting addresses nearby so you can see the quality of their work. If you get resistance it may be that their work is not to the standard they are claiming. We’re happy to provide references for all areas in our region: Reno, Sparks, Carson City, Washoe Valley, Gardnerville, Fallon, Fernley and Lake Tahoe. Did they bring samples or just brochures? It’s true that while there are major differences in product quality, there isn’t a lot of difference in BROCHURE quality! All the brochures are professionally made with painstaking detail to show the product at it’s ideal best. We think whether you spend $100 on a window or $1,000… that’s a lot of money and you should KNOW what you’re getting with no surprises. 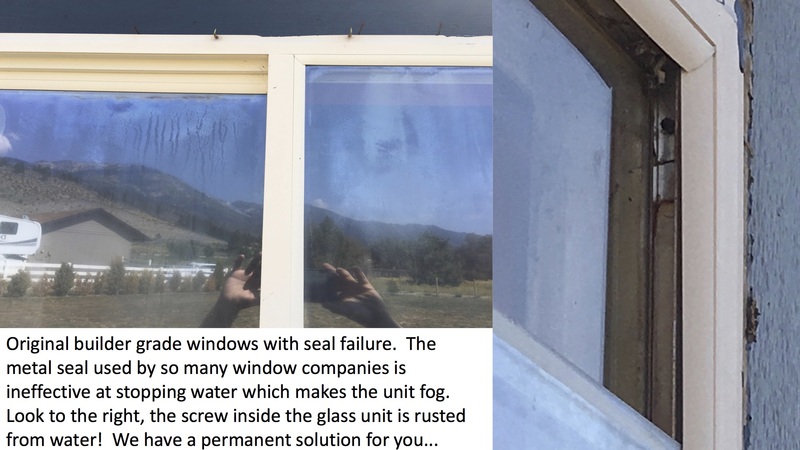 If they don’t bring the actual window, there’s probably a reason they don’t want you to see, touch and operate it before you to buy. We bring windows so you can operate, examine and compare. This way you can get the quality and value you want without guessing. How thorough is the bid? 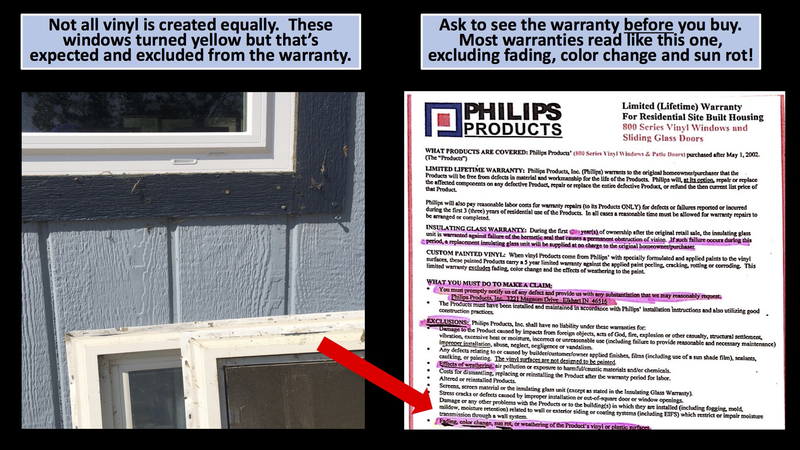 A quote or contract that reads “Replace all windows with new vinyl windows, double low-e glass, lifetime warranty” leaves a lot of gray area and room for mis-interpretation. Paperwork should include the brand and the specific series name. Since many companies make a builder grade and a replacement grade, it needs to be very clear what you’ve been shown and what you are getting. Other details that affect price: size of windows and their operations, frame color, grade of Low-e glass, glass thickness and strength, grid type/style, Argon gas. What method of installation? Do they handle the blinds, move furniture, clean the new windows? Will they meet code for egress size in bedrooms and tempered safety glass where required? Will they put start/finish dates in writing? 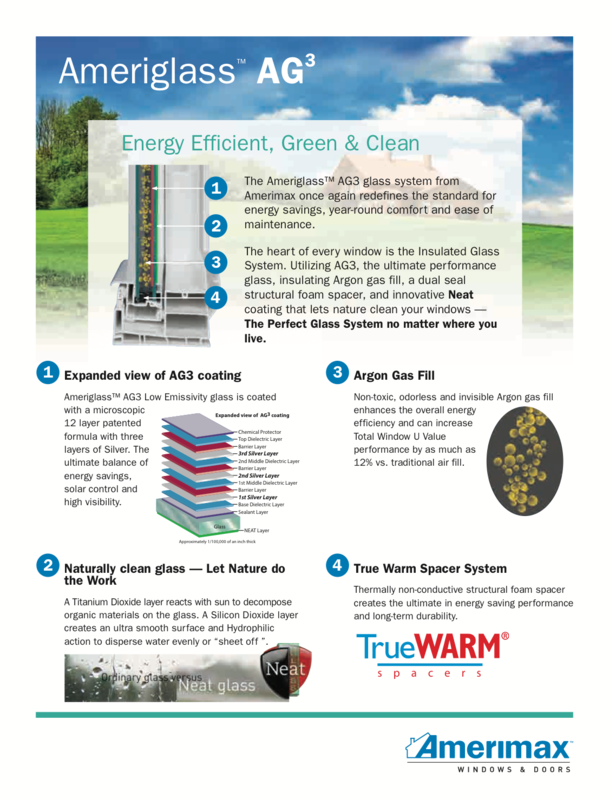 Our warranty covers frame discoloration, components and glass! pick the payment for your budget and pay no interest... ever!